Sometime additional creative signage can drive home a point, or motivate action. 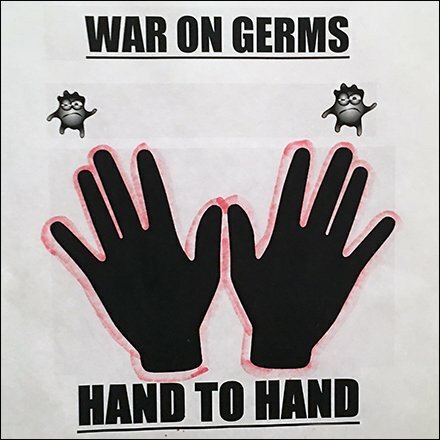 Here Hand-to-Hand Combat In The Restroom and a declaration of war on germs is meant to motivate hand washing by staff … and who knows, maybe even customers. A do-it-yourself, desktop printed sign, but based upon a creative concept.